Don’t be surprised if patients start asking more questions than usual about awareness under anesthesia. We can all thank a recent article in The Atlantic magazine, with a large-print headline on the cover: “Awake Under the Knife”. Written by a UCSF medical student, the article not only assures everyone that awareness can happen, but takes pains to point out that anesthesiologists can’t always prevent it. The article’s author, one Joshua Lang, seems sincere in his effort to describe the science behind one type of awareness monitor known as the bispectral index (BIS), and the even more interesting research of Dr. Giulio Tononi, at the University of Wisconsin, in the neuroscience of sleep and consciousness. But you had to read the entire article to get to that information. The first half, loaded with anecdotes about awareness, is superficial at best, and leads me to wonder if the author’s real aim is to make a name for himself as the next Atul Gawande. Perhaps he should take the trouble to finish medical school first. The opening paragraphs spotlight a woman who describes having an appendectomy at the age of four, in the 1960s. She recalls being on the operating table, bright lights, and the image of “a man looming over her”. That’s all. She didn’t feel any pain or have any memory of actually undergoing surgery. My guess would be that she has accurate recall of how terrified she felt and what she saw just before she went to sleep. I think I speak for us all in feeling genuinely awful about a little girl having nightmares for years after such an experience, and wishing that someone had given her a better premedication to make her drowsy before she went to the operating room. But she interprets her memory of “absolute abject terror” and “the feeling that I am dying” as proof that she woke up during the operation, and the credulous author doesn’t question it. Another anecdote tells of a 60-year-old man who was aware and in pain during an open gastric bypass, despite the use of a BIS awareness monitor. The fact that the patient had recall is perfectly convincing, but other details are puzzling. We’re told that the patient was reliant on “painkillers”, which would increase his anesthetic requirement. We’re also told that the anesthesiologist was reluctant to give much anesthesia because of the patient’s “dangerously low blood pressure”. For an anesthesiologist reading this story, so many questions arise. Was the blood pressure low prior to surgery? Were the patient’s other medical problems adequately managed? Did the patient have a failing heart? Did he need IV fluids or blood? Had he taken a blood pressure medication that morning? What steps were taken to correct the blood pressure so that the patient would be able to tolerate more anesthetic medications? We can’t make anything of the story other than the fact that the patient was aware—despite the BIS monitor—because he received inadequate anesthesia, which comes as no surprise. I understand perfectly well that Lang’s original piece would have been ruthlessly edited by The Atlantic, which spares subtlety in the interest of increasing readership. Lang may not be completely to blame for some of the excesses. Certainly it’s true that we haven’t identified anything like a consciousness receptor that would enable us to understand anesthesia in the same molecular way that we understand the action of morphine on narcotic receptors or estrogen on hormone receptors. But in the author’s words, this “ignorance gap” means that generations of dedicated researchers and clinical anesthesiologists, who have made modern anesthesia remarkably safe, are simply “clueless”. They deserve better. Even if you already have a print copy of the article, if you give anesthesia for a living I encourage you to go online and read the many comments that readers have posted. These are far more enlightening than the article itself. 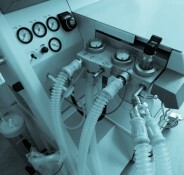 As you would imagine, a number of readers describe their own experiences with anesthesia, and they are fascinating, sometimes alarming, and often instructive. Way back when I was a medical student, I underwent endoscopic sinus surgery. I remember quite clearly waking up for just a moment in the middle, feeling no pain but hearing a voice saying, “Better give her some more.” I didn’t panic, probably because I was familiar with the OR environment and am calm under most circumstances anyway. But I can easily see how other patients might find a similar experience traumatic, and how a psychologically fragile patient might have long-term anxiety and fear of future anesthetics. It’s good for us never to forget how important unconsciousness is to the patients who entrust their care to us. Every day, we give anesthetics that reliably render our patients unconscious and free from pain until we wake them up, but on occasion there are misjudgments or outright mistakes, just as there are in any endeavor. At the end of the day, my question to Joshua Lang would be this: Did your article—and the sensational headline on the magazine’s cover—illuminate the profession of anesthesiology and the complex issue of awareness, or did you needlessly alarm more readers than you informed? thanks for our frankness. We must get prepared big time, for patients that have read something. It is MUCH worse now, because not everybody reads, but everybody browses the internet, and there is a lot of hooey on the net. As doctors, we need to establish a good set of PATIENT MEDICAL INFORMATION WEBSITES, which have been vetted by physicians that they are medically sound in advice, and reasoning. If not, not only patients under going anethesthesia will be scared, but all patients will be.